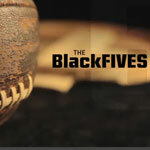 In celebration of The Black Fives exhibition opening this March, the New-York Historical Society is initiating a scholarship contest inviting metropolitan area high school students to submit original essays, videos or photographs on the theme of breaking barriers in sports and making history. A panel of distinguished judges will review applications and announce winners in each category. 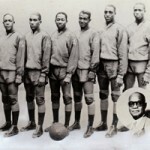 Complementing The Black Fives exhibition—which considers the historical achievement of the first all-black basketball teams of the United States and their role in breaking the color barrier of the NBA—this scholarship contest seeks entries that answer the question: How has basketball profoundly changed New York City history, United States history, or your own personal history? Submitted works, announcements, and highlights of history, ephemera and trivia from The Black Fives exhibition will be shared beginning in February.